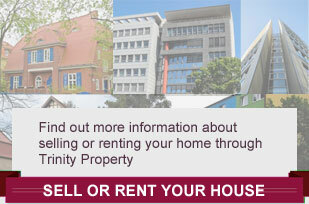 If you are selling your property through Trinity Property, you can expect great service as standard. From discussing the value to agreeing a sale, we are here to help. We know that selling your property can be a stressful process, so let Trinity Property help you through it. From a free, honest, no-obligation market appraisal from our friendly sales staff, through to liasing with solicitors to exchange and completion on your property, we can handle the whole process from start to finish – we are proud of our service, built on reputation and recommendation. Our proactive Sales staff are local experts who know the area well and can offer advice on pricing to enable you to achieve your property goals. They will come and talk to you without obligation, and will be on hand throughout the sales process to make as smooth as possible. Call us for a free market appraisal today, or email us to book it in. We work with Independent Financial Advisor Laura Thornton from Simply Mortgages who can give advice on the best mortgage products to suit you, and can recommend local and national solicitors to handle the legal process for you. Contact the office to arrange a no-obligation, free appointment with Laura. All properties being marketed require an Energy Performance Certificates (EPC), we can arrange these for you. The cost is £90 inc VAT (£75+VAT) – call or email us to book yours in. EPC Exemptions from £180 (£150+VAT). We offer fixed fee pricing or a percentage based fee with no hidden extras – once you have paid for your EPC there are no other costs to pay until we sell you property, and if we can’t sell it, you don’t pay us! Our fees also include accompanied viewings with regular feedback and advertising (both newspapers and internet) -this really is No Sale No Fees. We can offer multi agency sales if required, although your current contract should be checked prior to instructing us in order to prevent a liability for two sales fees. For a friendly, honest and professional service, call, click or pop in to our office at 21 Wolverhampton Street, Dudley. You must have an energy performance certificate in place in order to market the property. If you do not have an EPC then we can arrange this for you with a floor plan (stand-alone) from £24 inc VAT (£20+VAT). EPC & Floorplan combined from £96 inc VAT (£80+VAT).